I have learned more about history by studying with my kids than I ever did in school. We love to travel to far off places experience life in a different time. 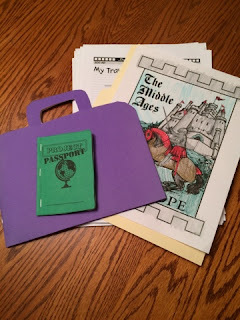 This summer we have been traveling with Project Passport World History: The Middle Ages from Home School in the Woods. By using short text, audio tours, timeline figures, lapbook & notebooking activities, and hands-on projects make learning history fun & memorable. History Through the Ages: Project Passport World History Studies include Ancient Egypt, The Middle Ages, and Renaissance & Reformation. All three can be purchased as a download or on a CD. I received the download version of The Middle Ages. As you travel through The Middle Ages there are 25 stops that can last 8-12 weeks. Each stop has Guide Book Text to read for the topic and a Travel Itinerary that includes directions and project choices. There are instructions with pictures on exactly how to put the lapbook together, and seven MP3s to take you on your journey. All the printables that you need are included as a PDF. 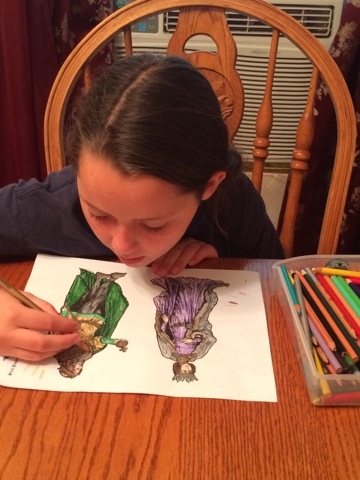 The topics include Medieval life, Barbarian invasions, inventions, church history, knights, battles, and more. Some of the project that can be made include a viking longship, stained glass windows, a robin hood cap, a cookbook, and more. After getting all my files downloaded I moved the Itinerary Stops and the Text Stops to my iPad. The itinerary tells you exactly what you will be doing including all activities, worksheets, timeline figures, and extra supplies you will need. The Text Stops are short segments to read that go along with each stop. I liked having these sections on my iPad because it was easier to read than on my computer and I didn't feel the need to print this section since it doesn't contain anything the student needs for their work. Then I went through and printed all of our materials. The instructions are very clear on how things should be printed. It tells you if pages need to be double sided, printed on card stock, quantity, or any other special instructions. I gathered all the required items and we got started. If you are new to making lapbooks you may not have the file folders, but you probably already have everything else. The girls favorite project was the stained glass windows. We always do history together and then the girls have their own reading assignments & work to turn in later. Since it is summer time and we wanted this to be a fun activity I did not include a lot of extra reading material with this one, but if it was during the school year you could add some to make the study more in depth for older students. 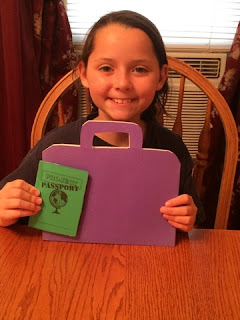 First off we created our passport, our travelogue that looks like a suitcase, and our name tag. Then we were ready to begin. We got our file folders gathered and put together and started on our first stop. I read the Text Stops out loud to the girls and we all listened to the MP3 files then they worked on their notebook and activities together. My favorite part is the timeline. I love that the girls can see how everything fits together in history. Of course they loved the projects the most. Alaina loves the suitcase. She wants to cut all of her folders now. The short reading stops are written in a friendly manner that makes reading yourself or out loud very understandable and enjoyable. In the audio files a lady describes what she sees as she tours towns, villages, castle, festivals and more. She meets several people along her walks and there are back ground noises to make the stories more realistic. 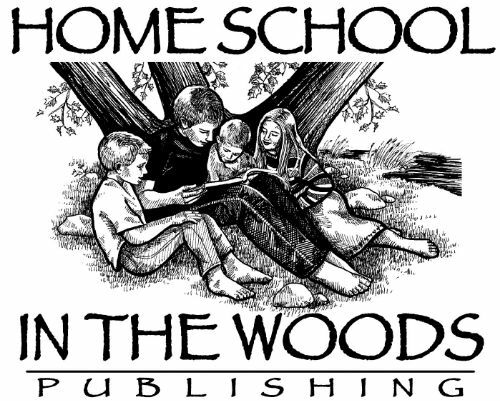 Home School in the Woods contains a lot of files. If you start with the Intro file it will help you understand how things work and once you figure that out it is very easy to use. 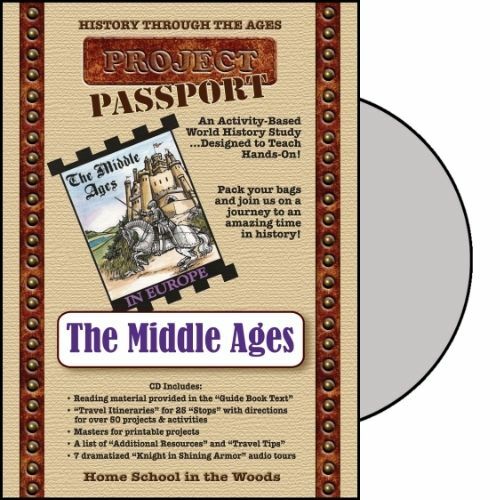 Members of the Schoolhouse Review Crew received all three World History Project Passports if you would like to read about other times in this series. 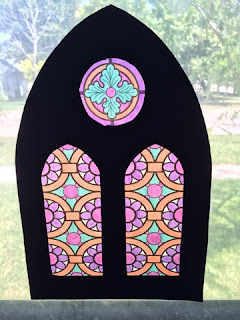 Love the stain glass - so pretty! !